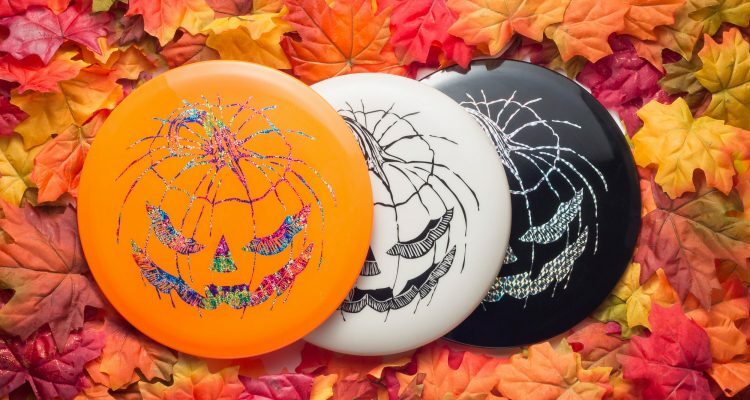 Every year, Innova’s Pumpkin disc release is highly sought after from disc golf collectors nationwide. It’s a Halloween tradition that’s just the right amount of spooky and this year’s release is one of the most popular Pumpkin harvests to date. If you ask long time collector and Innova employee Sam Covington, the Innova Pumpkin is the perfect thing to enhance his home’s Halloween decor. During October guests to his Newport, S.C., home are greeted by one of his Pumpkins from his collection. 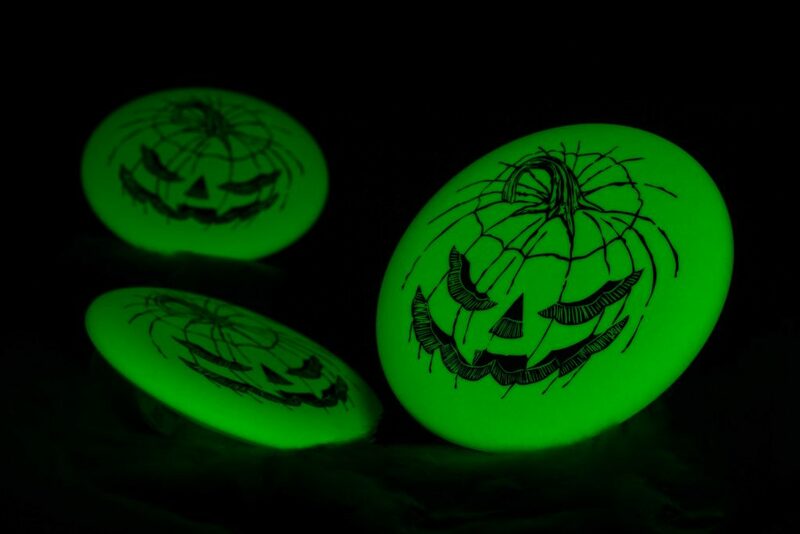 This year it’s a new Glow DX Aviar Pumpkin, which is one of several models offered for 2017 including orange and black Star RocX3, I-Dye Champion Beast in special Pumpkin dye, and orange, black, and glow Pumpkin Pulsars. 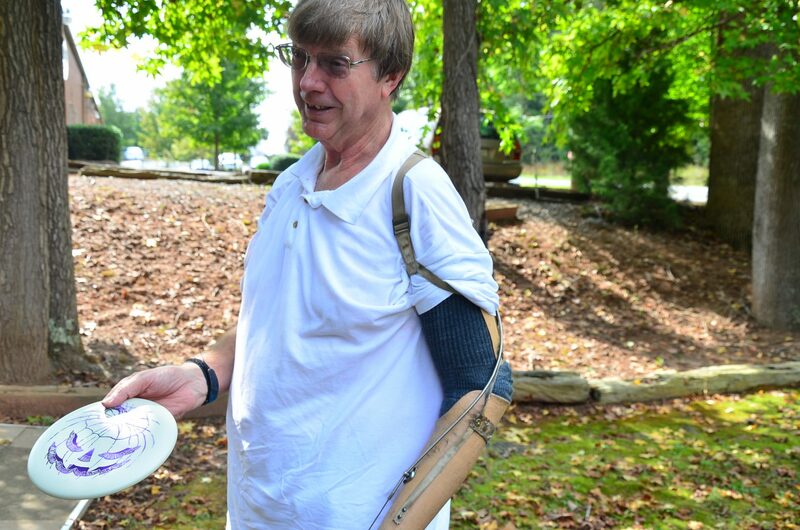 Innova employee and Pumpkin disc collector, Sam Covington. Kevin Waring of Ortonville, Mich., is another die-hard pumpkin collector and was anticipating this year’s design. “I just like how each year is something different to look forward to, and they make great conversation pieces,” said Waring, who bought his first Pumpkin (2009 edition) about 8 years ago and amassed enough to be the first to share a complete set of “faces” online. 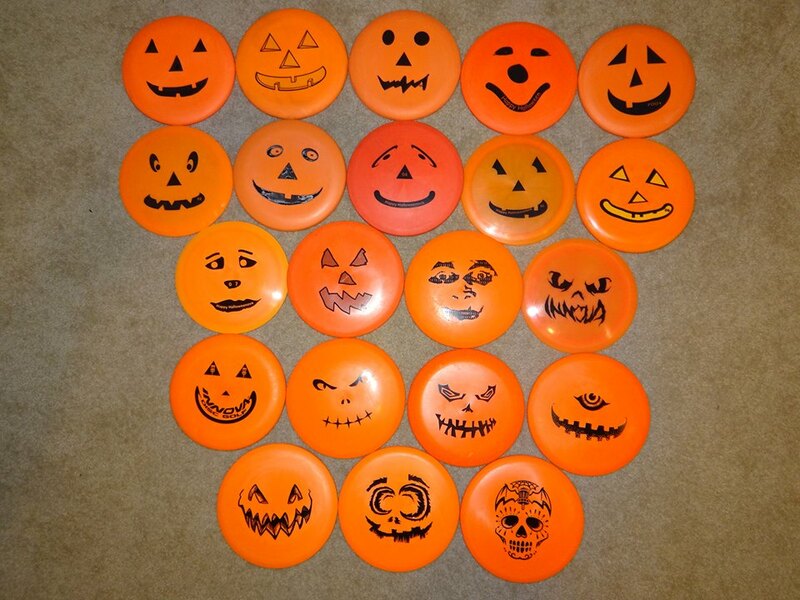 Kevin Waring’s Innova Pumpkin disc collection. When planning this year’s Pumpkin, the 21st edition, Matt Peckham, one of Innova’s graphic artists, said it was all about coming up with something fresh. “This year I tried to utilize our XXL stamp to make a Pumpkin that was a unique spin on the Pumpkin line. I’m pretty happy with the result,” said Peckham. Russell Schwarz, who is now the director of special projects at Innova, came up with the idea early in his career when he was a hot stamper. He said it was just a whimsical, spontaneous thing that grew and grew each year. The first year they stamped about 100 Pumpkins and sold them all. “We sold what we stamped. 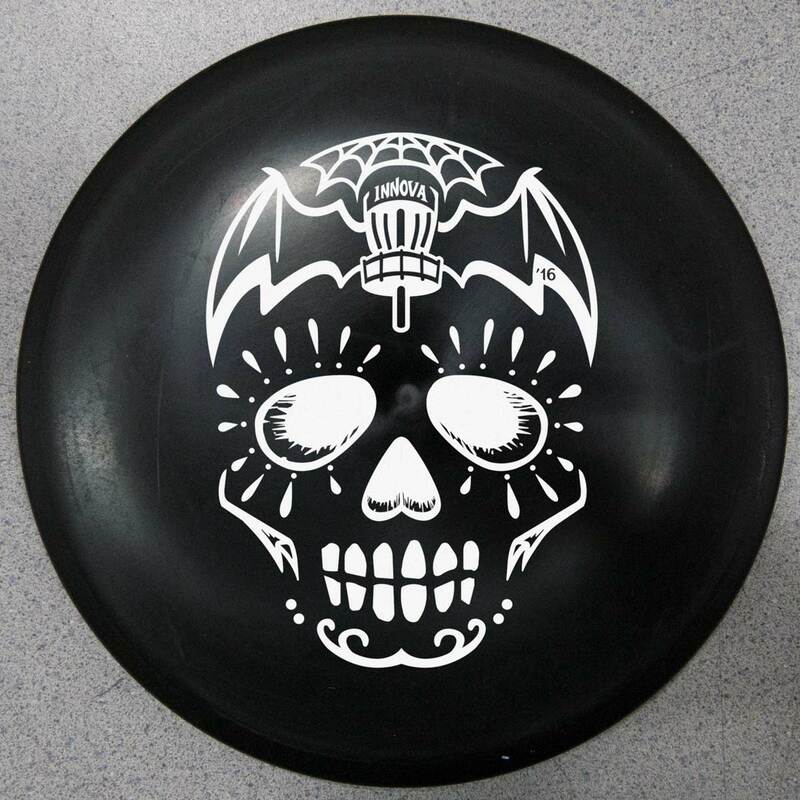 So we did it again,” said Schwarz, who continued designing the Pumpkins until 2010 when the job was handed over to Innova’s graphics team and other contracted artists. Models offered have varied over the years (so have colors), but Aviars have appeared in every release. Glancing over the variety of Pumpkin designs made over the past 21 years is incredible. The range of jack-o-lantern designs cover the spectrum. There are: freaky looking jack-o-lanterns, several benevolent looking Pumpkins, an apathetic looking Pumpkin (2004), a Pumpkin with Chiclet teeth (2012), and a lovable “Fuzzkin”(2015) to name a few. 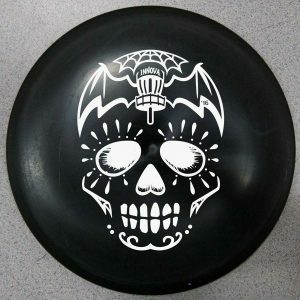 Last year’s popular and unique “Sugar Skull” design by artist Mike Inscho, was born through several iterations. A zombie-like graphic eventually led to the final one. Collector Brian Phillips, of Battle Creek, Mich., definitely has that one, plus just about every model produced as well. He’s got several of them hanging on his wall at home. “I like them because Halloween is my favorite holiday, and to me pumpkins/ jack-o-lanterns are the key symbol for the holiday. It’s that simple. Who didn’t love carving a pumpkin when they were kids?” said Phillips. With the exaggerated eyes, nose, and mouth – that look as if a child had carved it – that was what Schwarz was going for with his original design. Though quite simple in appearance, it’s the favorite of many including collector Kevin Waring and it’s one of Schwarz’s favorites too. More than anything, though, each Pumpkin says fun. So grab your 2017 Pumpkin and have a Happy Halloweenova. It could be the start of a spirited collection.